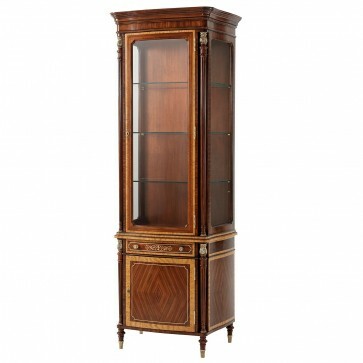 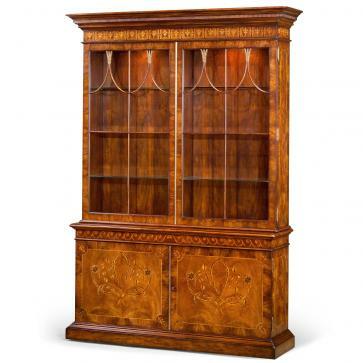 An exceptional cerejeira veneered, mother of pearl inlaid and rosewood banded library bookcase, the arched cavetto cornice above two central glazed and two side doors enclosing lights and glass inset adjustable shelves with inlaid edges between delicately inlaid angled uprights, the serpentine base with four trellis inlaid drawers and floral inlaid doors enclosing three adjustable shelves below. 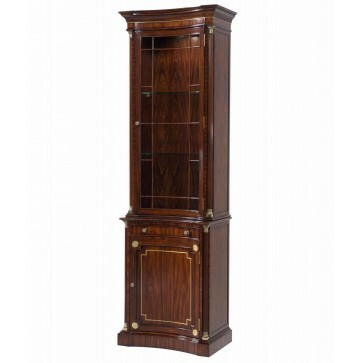 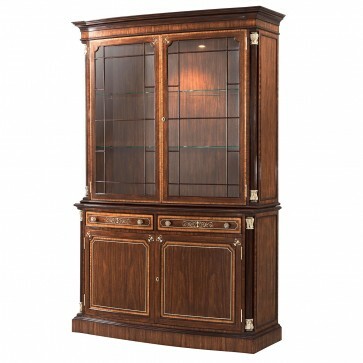 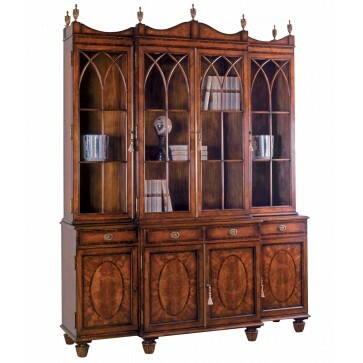 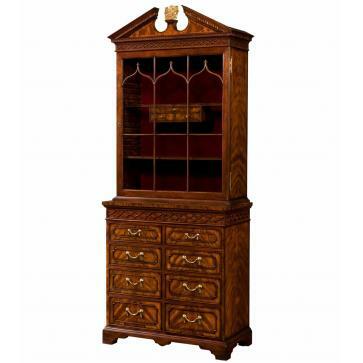 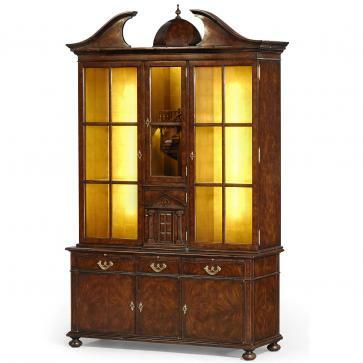 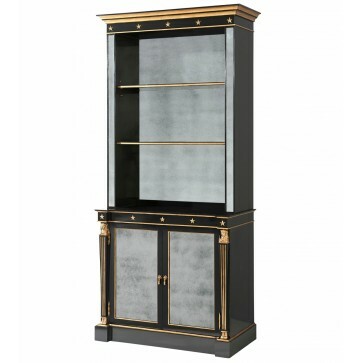 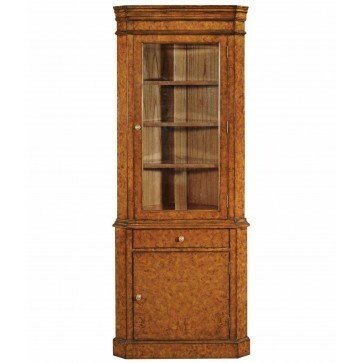 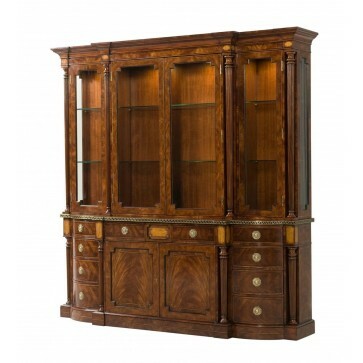 Brights of Nettlebed is proud to present this item, which is part of our Glazed bookcases & Display cabinets range. 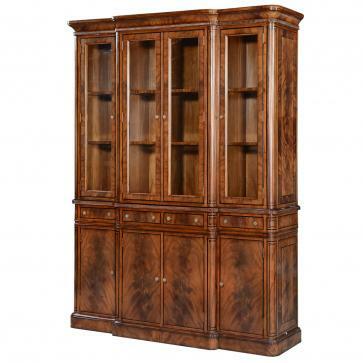 The An exceptional cerejeira veneered bookcase is £19,450 to purchase and can also be viewed in your nearest showroom as well. 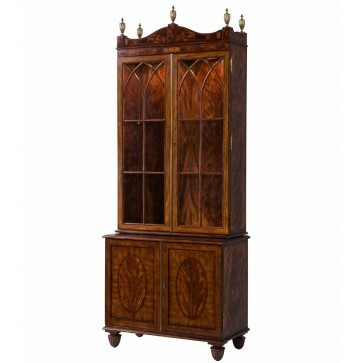 Brights carries a large range of Glazed bookcases & Display cabinets and other bespoke pieces can be commissioned on request. 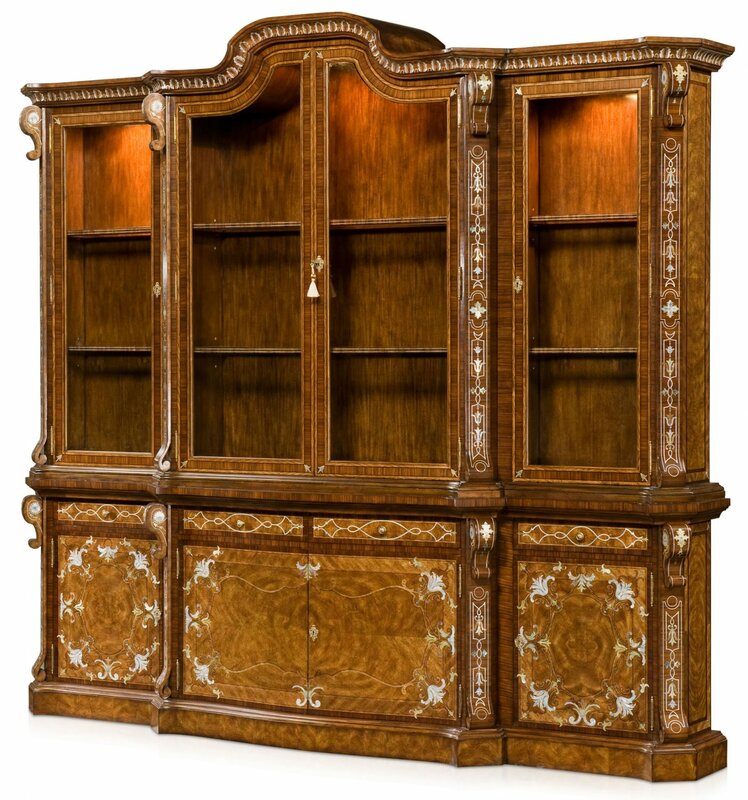 If you like more information on the An exceptional cerejeira veneered bookcase, please do not hesitate to get in touch with us!